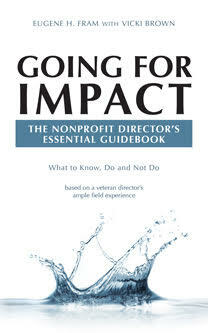 Nonprofit Directors & Trustees: Are You Aware of the IRS 990 Form? Prior to the filing, was the Form 990 reviewed by the full board or a designated committee? Does the organization have a written mission statement that articulates its current 501 (c) (3) purposes? Are there systems or procedures in place intended to make sure assets are properly used consistent with the organization’s mission. Organizations with a written mission statement are more likely to be complaint. Organizations that always use comparability data when making compensation decisions are more likely to be compliant. Organizations with procedures in place for the proper use of charitable assets are more likely to be complaint. Organizations where the 990 was reviewed by the entire board of directors are more likely to be complaint. This indicates that having the entire board engaged in what is being reported on the 990 is not only helpful, but correlates to better compliance. Organizations that never or only occasionally use comparability data to set compensation. Voting member having a family relationship and/or outside business relationship with any other non-voting board member, officer, trustee or key employee. NONPROFIT DIRECTORS & TRUSTEES ALERT: If you have not had significant involvement with the development of the organization’s annual Form 990, it is about time you raise a question about it at the next meeting. ← Who is Primarily Accountable for Long Term Planning – Board or CEO?